Changing with the times while staying true to yourself is the definition of the 20th-century struggle—but Chanel is a brand that makes it look so easy. The iconic fashion house debuts exquisite new designs season after season, each something we would gladly don for days and each infused with the classic essence that’s so utterly Chanel. On the skincare front, the brand continues to reinvent too, though the process is longer—10 years longer, to be exact. The brand’s new formulation of its top-selling Sublimage La Crème ($400) is kind of mind-boggling. Why? It’s all in the details. Namely, the cream’s hero vanilla ingredient—the finest vanilla your skin will ever have the pleasure of being slathered with. Vanilla planifolia is to normal vanilla what Dom Perignon is to the $3 champagne you bought at Trader Joe’s (no shade, though—I’m all for cheap thrills). So, what makes this $400 skincare product worthy of its price tag? I went to Paris on a crisp, blustery fall day as a guest of Chanel to find out. 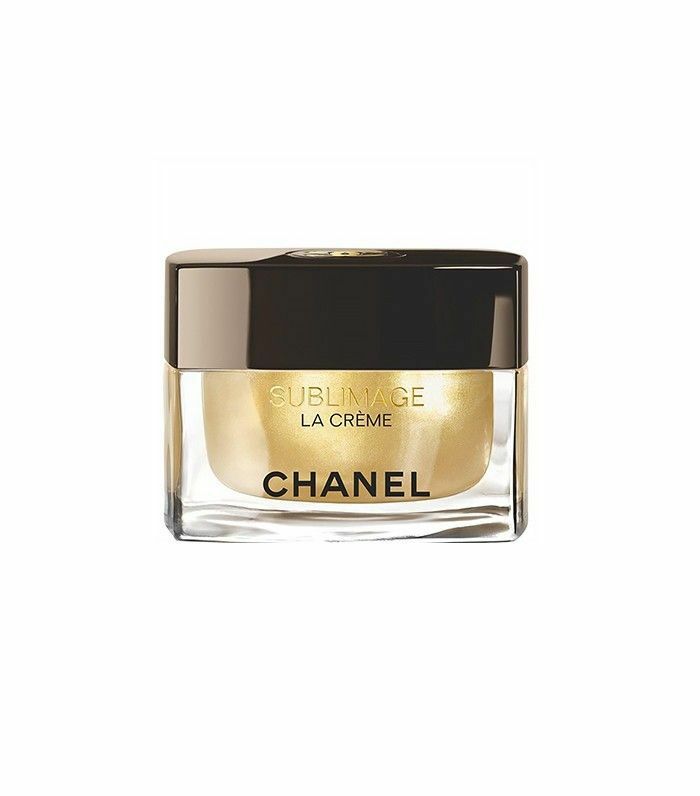 Chanel debuted its original Sublimage face cream 10 years ago in 2006. Since then, more than 1.6 million jars have been sold (which is about one jar a minute—an impressive visual, given the price). The original Sublitmage contained the vanilla plant vanilla planifolia, harvested in a Chanel-owned sanctuary in northern Madagascar. There, the plant got the royal treatment, cultivated lovingly and studied for its skin-regenerative powers. Of all of the varieties of vanilla in the world, researchers found this specific species to be the most beneficial for the skin—and subsequently spent the next few years studying the heck out of it. Though studying a plant day in and day out might not sound like anyone’s idea of a good time, it all paid off in due time: the research team was able to identify the exact moment in the growth period of the pod when it generates “exceptional” molecules. These molecules have the ability to renew and regenerate, but the peak period was so brief, so ephemeral, no one had succeeded in capturing them until now. So, as it turns out, studying plants all day had its benefits. Everything else came together quickly after that. Every morning during a specific period in April, the pickers stand by to detach the selected vanilla pods and send them to the Chanel lab in Pantin, France; the process has to be completed in a matter of days. Using a new technology called Chrono-Extraction, scientists were able to capture the delicate molecules at just the right moment in their native state without damaging them. The result? Éphémères de Planifolia—the incredible active ingredient in the new Sublimage. So—what does all mean for your skin? The presenters in Paris showed me a very in-depth graph depicting exactly how much more effective the new Sublimage is due to the Éphémères de Planifolia, which enhances the patented Enriched Planifola PFA (polyfractioned active) from the original formula. In one study, women found that their skin contours appeared more defined by 35% and dark spots diminished by 32% in just four weeks. Other benefits you can expect to see: increased hydration, radiance, and a more even and firm skin tone. And because it’s Chanel, the brand went even further to now offer two new textures in the range: Sublimage La Crème Texture Fine ($400), a light, serum-like lotion that’s the “satin silk,” and Sublimage La Crème Texture Suprême ($400), the richest, more luxurious formula, which is more of a “velvet silk.” The original La Crème is the “jersey silk” of the group. Comparing textures to fabrics—how very Chanel. The words that come to mind when I used Sublimage can best be summed up as: luxurious, fragrant, hydrating, and can-I-please-bathe-in-this. I prefer the original La Crème texture—the Texture Fine is probably a more logical choice for my oily skin, but I like the thicker texture of the original and use it sparingly at night. Wrinkles and sun spots aren't two of my main concerns, so I can't speak on those issues firsthand. However, I always feel like I'm giving my skin a tall drink of water when I apply the cream, and I always, always wake up with a glowing, plump complexion in the morning after using it before bed. The price tag is staggering, but with 10 years of research behind it, and the fact that some guys in Madagascar had to watch plants flower day in and day out (kidding—but seriously), you can rest assured you’re getting your money’s worth. For most brands, it’s hard to make a good thing better—Chanel is not most brands. 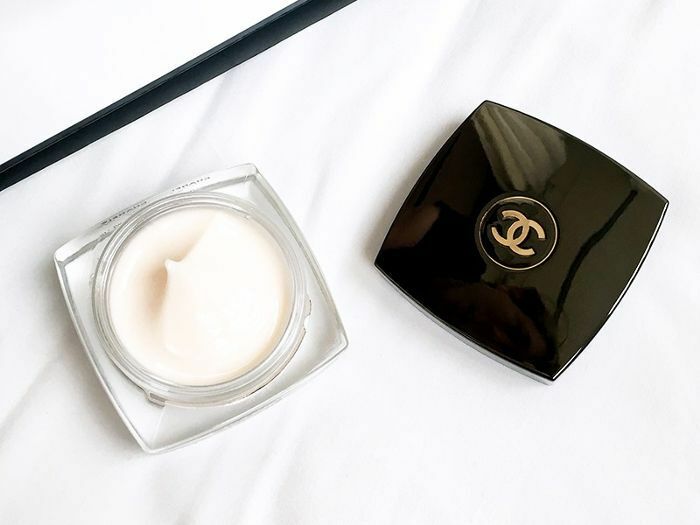 Have you tried any Chanel skincare products? What are your favorites? Tell me below!